If you have earned your diploma as a medical assistant and gotten your first job in the medical field, congratulations: you have taken a big step toward a brighter future. You have joined the ranks of other dedicated professionals making a difference in the lives of real patients every day. 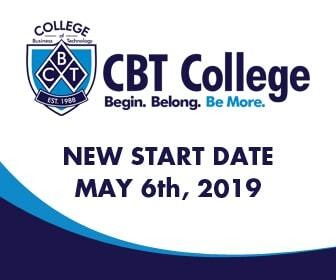 If you are still just thinking about targeting a career as a medical assistant, CBT College can offer you a preparation program that takes less than 12 months to complete with flexible class schedules and financial aid for those who qualify. Enjoy your job. With a new career as a medical assistant, you’re already halfway there to enjoying a good work-life balance. This is the kind of career that promotes balance because you won’t have to do any work outside of work hours. You will also find that work schedules are reasonable and flexible. There will be no reason for you to spend overtime hours at work. Unlike many other professionals, you get to go straight home at the end of your shift. Take advantage of flexible scheduling. Another great thing about a career as a medical assistant is that you have a lot of different options for jobs with different kinds of schedules. If you work in a doctor’s office, you will likely have a typical 9-to-5 schedule, but if you take a position in a hospital or clinic, you may be able to choose from more flexible schedules. You can choose to work nights, evenings, mornings or even weekends. You can even work part-time; whatever works best for you. Take care of patients, but also take care of you. This is a caring profession, which means you will tend to patients all day long. This can be emotionally draining, especially if you like your patients, but see them struggle with illnesses and injuries. Caring is what will help you succeed in this career, but to get the right balance between your career and the rest of your life, you also need to take care of your own needs. Make sure you get plenty of sleep, eat well, get exercise and have fun and make sure to relax when you’re not at work. Schedule for quality family time. For many working professionals, finding the time for family is a struggle. Make it a priority in your life by scheduling it into your calendar. You can’t have work-life balance if you forgo all your family time for work time. Set aside time each day to spend with your family and find a longer period of time once a week for that important quality time. Finding the work-career balance that makes for a good life isn’t easy for most working adults. With a career as a medical assistant you have a better chance of achieving it. Check out the medical assistant diploma program at CBT College and work toward a position in this exciting and rewarding field.